Today 2K Sports announced that a patch has been submitted to Microsoft and Sony that will address the connection issues at MyPARK. Players were repeatedly getting kicked from the game, getting CE-34878-0 errors and getting booted to the dashboard. A recent tweet from 2K Support has relayed the good news for NBA 2K15 players. #NBA2K15 patch has been submitted to Sony/MSFT, aimed at addressing (among other things) being booted off #MyPARK. Available in coming days. 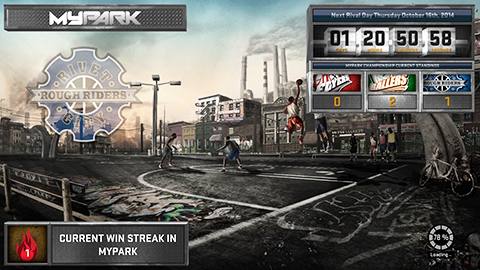 MyPARK has suffered from connectivity problems, as well as instances where games don’t start and users get stucked in the “Got Next” spots. It’s unclear what else the patch will address for NBA 2K15 players, but users have been reporting tons of issues with the game since the release. Complaints included numerous error codes, the inability to redeem Kevin Durant pre-order content, VC (Virtual Currency) disappearing from player accounts and others. UPDATE: Recent tweets from NBA 2K Community Manager, Chris Manning (LD2K). Dev. has some fixes incoming for existing auction house issues as well. Also working on pre-order issues where some users didn't receive it. New patch looks to address a ton. We're keeping our eye on ALL of your feedback & dev. team is working hard on remaining issues. The patch is expected to be out on Xbox One, PlayStation 4 and PC this week.